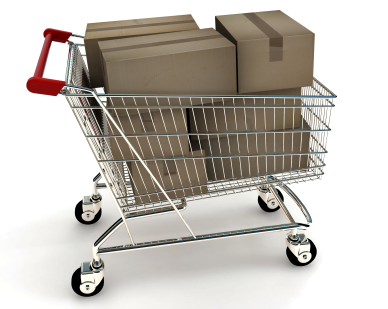 Getting customers to your shopping cart is the goal of your online activities. Taking orders is what it’s all about. Red Oak Cart has a solid base of features you would expect. The cart then goes beyond and offers a wide range of advanced features to set your online shopping experience apart from the competition! Add products to your website in under a minute. Each product comes with predefined links or forms that you copy to your website. Include your own Add to Cart image and you’re selling products online. You can then use advanced options to customize what is added (e.g., automatically add bonus products). Your customers can download their products immediately from the thank you page. No more pesky support calls asking where the file is and how to get it. Your users receive it immediately upon successful checkout (and in a customizable email for reference). Protect your content by limiting the number of downloads. And for large video files, integrate easily with Amazon’s S3 service. Make the checkout process look and feel like your website. Use our simple Cart Look form to change colors, font, sizes, background image, logo, header text and much more. The cart is designed with css customization in mind and everything can be changed with your own css file. Go to sleep with the knowledge that your customer data is secure. Our focus on security is laser like. We start with securing the checkout process using a cloaked secure SSL certificate. After we have the data, we encrypt all sensitive information (credit card info, etc) and delete data that is no longer needed. The system is PCI compliant and we run regular checks to keep it that way. This might be geek speak to you, but the short version is your data is safe. Using our built-in editors you can change thank you pages, email notifications, continue shopping buttons and error messages. Changing how the cart looks and works is a core feature. The system is built to be as flexible as you want it to be – and do so in an easy and intuitive user interface. You can provide the experience you want for your customer. We allow you to accept credit cards, PayPal or any combination thereof. It’s just one step to enable your preferred pay methods and be sure that is what your customer will see. The cart will be configured to only show the images (Visa, Mastercard, etc) and pay methods you have chosen. If a method is not relevant, the user will not see it. There are so many features of the cart, we can’t possibly talk about them all without requiring you to read a ton of information. All of the features are documented in their entirety in our online help manuals and videos. You can also ask our support group about any of them via email or by calling us.